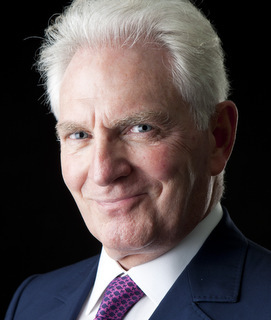 Dr. Nasser H. Saidi is the Founder and President of Nasser Saidi & Associates and acts as adviser to governments, central banks and regulators. He is adviser and board member to multi-national and regional companies. He is Deputy Chairman of Eureeca Capital, a crowd-investing platform. Dr. Saidi was the former Chief Economist of the Dubai International Financial Centre (DIFC) from 2006 to September 2012, where as an executive he helped build & promote the centre and its strategic development and developed the links with governments, central banks, international organisations, international banks & financial institutions and international financial centres. Dr. Saidi is also the Founder and former Executive Director of the Hawkamah-Institute for Corporate Governance and the Mudara Institute of Directors, 2006-12. Dr. Saidi is Chairman of the regional Clean Energy Business Council, promoting clean energy solutions and policies in the MENA countries. He is a member of the IMF’s Regional Advisory Group for MENA and Co-Chair of the Organisation of Economic Cooperation and Development’s (OECD) MENA Corporate Governance Working Group. He is a Member of the Advisory Board of the Official Monetary and Financial Institutions Forum (OMFIF) and a member of the Private Sector Advisory Group of the Global Corporate Governance Forum, an institution of the World Bank driving global corporate governance reforms. In 2013, he was named among the 50 most Influential Arabs in the World by The Middle East magazine, for the fourth consecutive year and named among the 500 Most Powerful Arabs in the world by Arabian Business for the second consecutive year. Dr. Saidi was the Minister of Economy and Trade and Minister of Industry of Lebanon between 1998 and 2000. He was the First Vice-Governor of the Central Bank of Lebanon for two successive mandates, 1993-98 and 1998-2003. He was a Member of the UN Committee for Development Policy (UNCDP) for two mandates over the period 2000-06, a position to which he was appointed by former UN Secretary General Kofi Annan, in his personal capacity. "An economist who has had huge success both as a policymaker and in the private sector, Dr Saidi’s analysis is highly valued throughout the Middle East and the wider world. In 2013, he was named among the 50 most inﬂuential Arabs in the World by The Middle East magazine, for the fourth consecutive year."